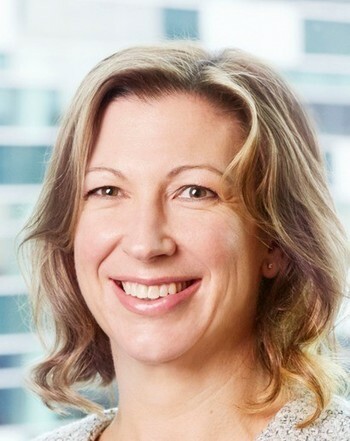 Renee McGowan is Chief Executive Officer, Asia for Mercer, a leading global consulting firm advising organizations on the health, wealth and career needs of a dynamic and changing workforce. Mercer has over 23,000 colleagues supporting clients in 130 countries around the world, including the fast growing Asia region. Renee is the Project Collaborator Lead for the World Economic Forum's Retirement and Investment Systems Reform Project. Renee has lived and worked in Asia, Australia, Europe and the United States and is a frequent contributor to international projects and forums related to navigating the changing nature of careers, work and retirement. She is a passionate advocate for improving the financial security of people around the world. Renee plays a mentoring role with entrepreneurs in developing nations as part of the Cherie Blaire Foundation’s Mentoring Women in Business Program. Renee was awarded a Humanitarian Overseas Service Medal by the Australian Government for delivering humanitarian services overseas. Workforce transformation, not workforce displacement, is key to understanding how robots and AI will affect tomorrow's jobs. Research suggests that 68% of individuals globally don’t plan to ever retire or expect to keep working past a traditional retirement age. Et si c'était le secret d'employés heureux et impliqués ? Disposer de meilleurs avantages, de plans d'épargne et de conseils plus accessibles ainsi qu'une technologie adaptée aux besoins individuels aurait un impact très positif sur les effectifs. ¿Es este el secreto para la felicidad y el compromiso de los empleados? New research finds the vast majority of employees say better benefits or help with retirement saving would make them more committed to their job.